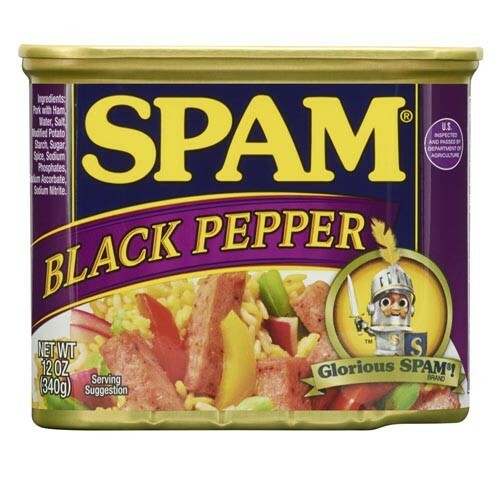 Put a little pep in your recipes step with the mouthwatering taste of SPAM® Classic seasoned with black pepper. Its a delicious dream come true. 12 OZ CAN *ADDITIONAL SHIPPING CHARGES WILL BE ADDED ON ANY FLAVOR. **CANNOT SHIP THIS PRODUCT OUTSIDE OF THE UNITED STATES.